Hi, I plan to make a few changes in the exp gained from battle and levelling, in the hopes of encouraging new players to train and level up their pokemon. It would be wise to avoid training until then since you will be receiving more exp for the same amount of work after this change. I would also advice you to avoid trading high exp since their perceived values will fluctuate among traders for some time. Last edited by d1g1t on Thu Mar 30, 2017 5:58 pm, edited 1 time in total. So what will be the max EXP now? If the levels of pokes with below 100k exp will decrease, what will happen to the level 100 "mega evolved" pokes with below 100k exp? Are you planning to revert it back to their previous evolve form?? I hope not..
Miloriuz wrote: So what will be the max EXP now? IndexXx wrote: If the levels of pokes with below 100k exp will decrease, what will happen to the level 100 "mega evolved" pokes with below 100k exp? 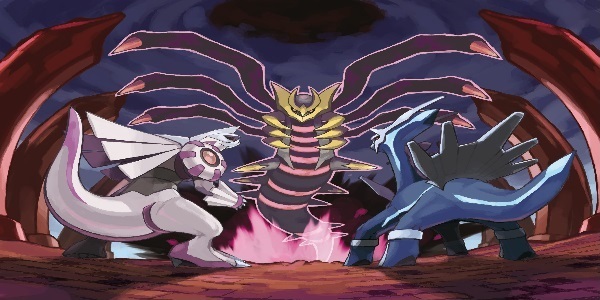 Are you planning to revert it back to their previous evolve form?? I hope not.. Soon to be rare.. sure does have a nice ring to it.. The plan is to have the exp per battle more than double. Sweet, so d1g1t , will it be like the old-days where like a lvl 5/6 would reach lvl 100 in 1 battle since pokes gain exp easier/faster, oh and will our high exp like my 1mil exp pokes have their exp reset? @d1g1t if this happens, will there be like a revert back petition/option if we didn't like the new update? Just in case.